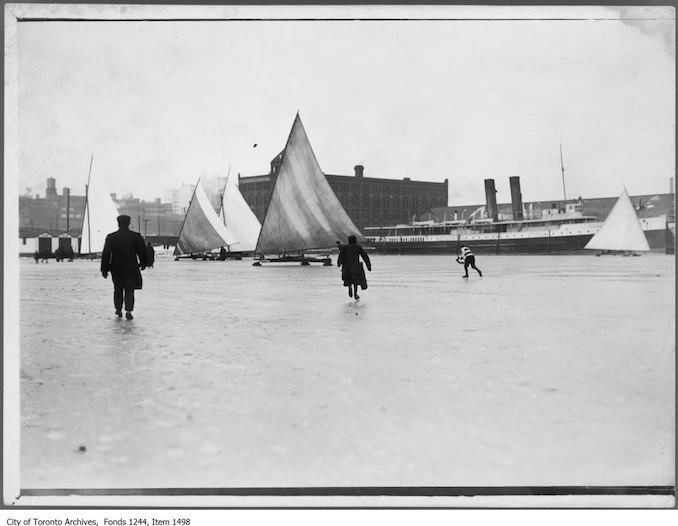 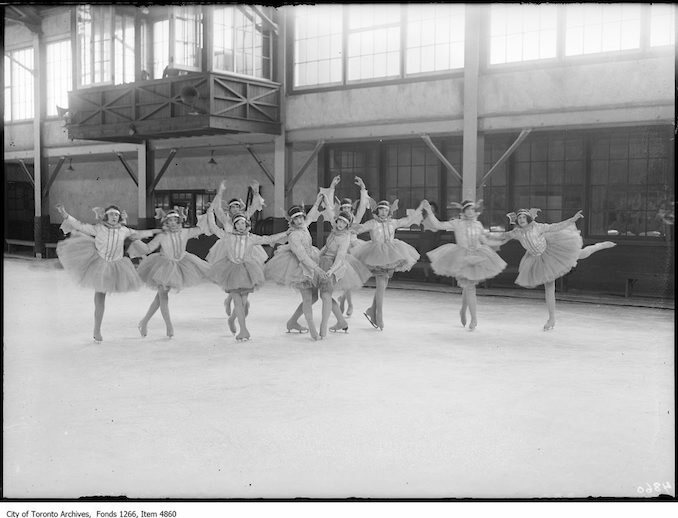 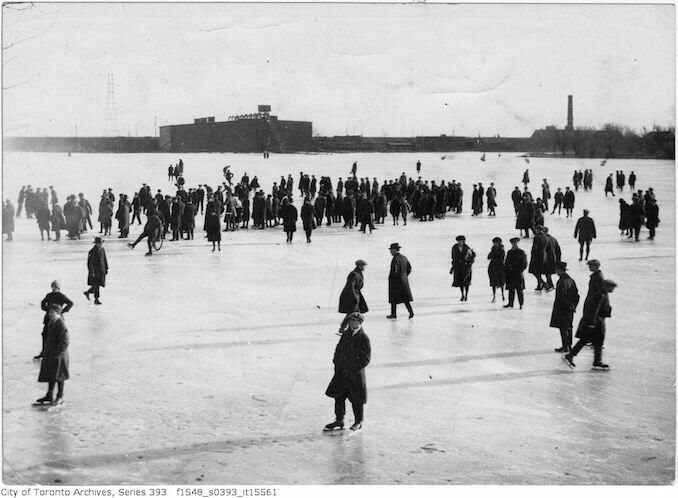 I visited the Toronto archives recently looking for old skating photographs from the 1900s-1970s. 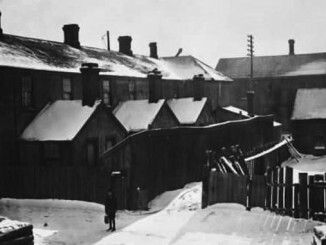 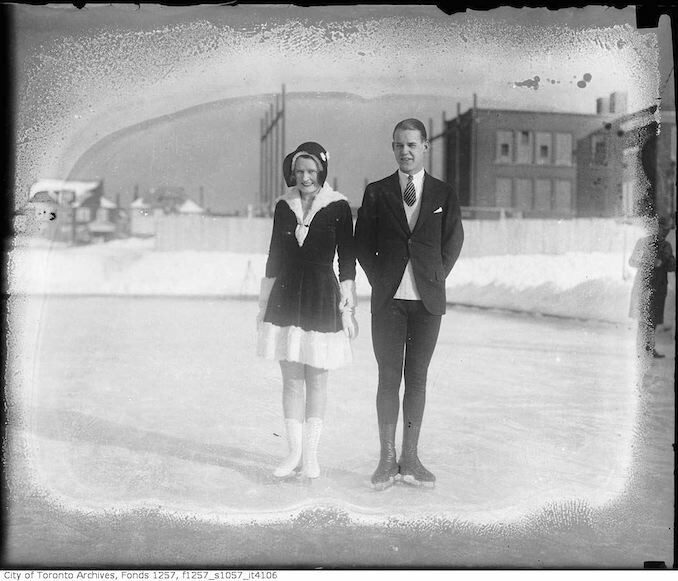 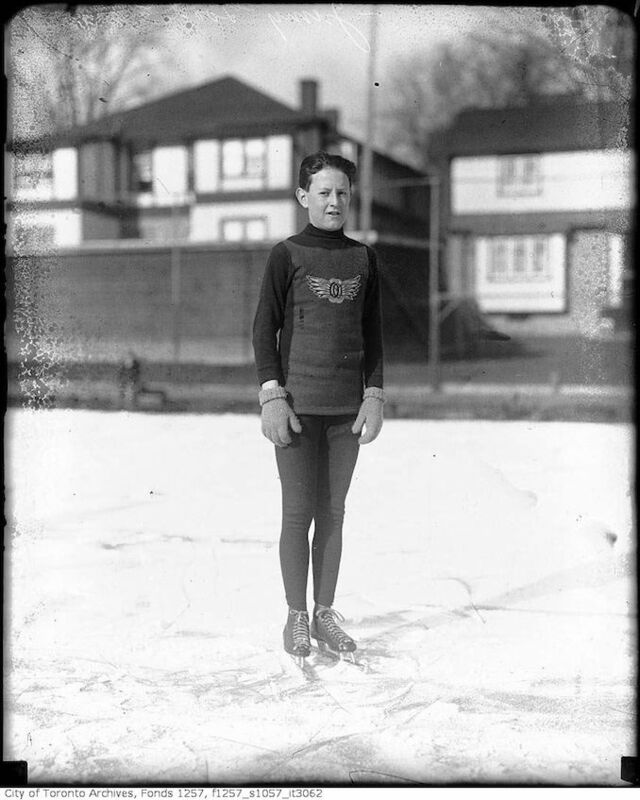 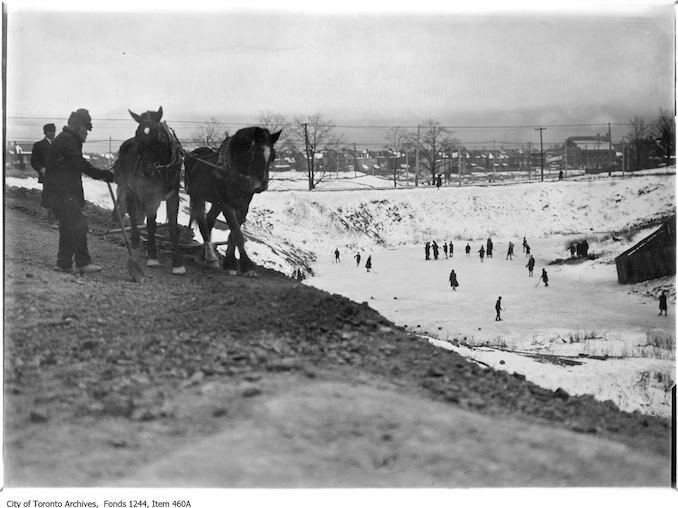 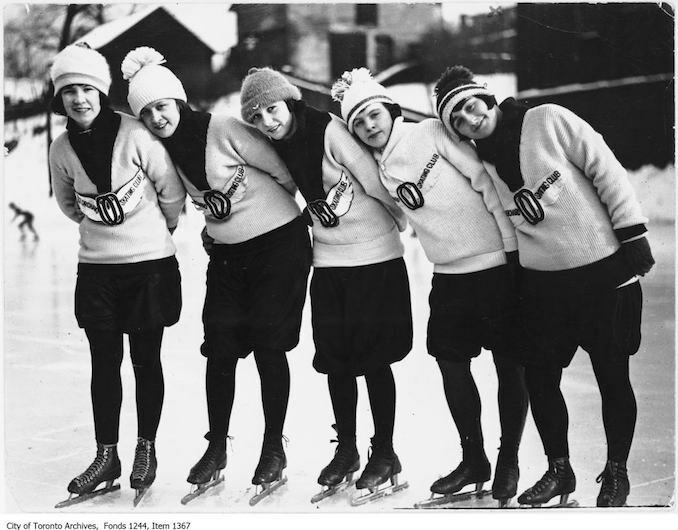 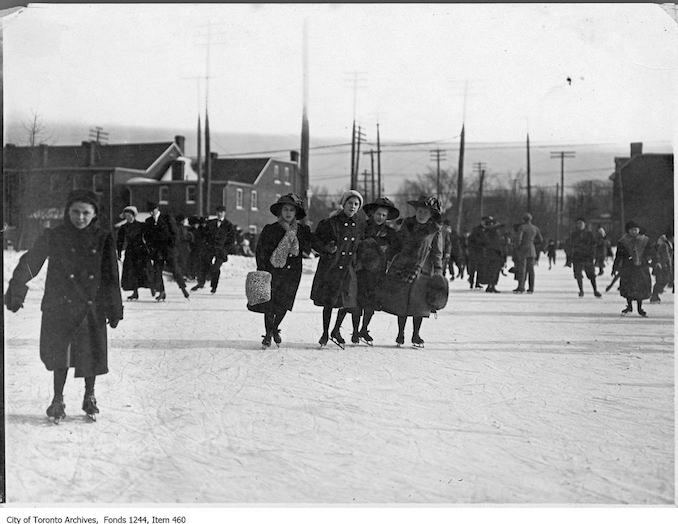 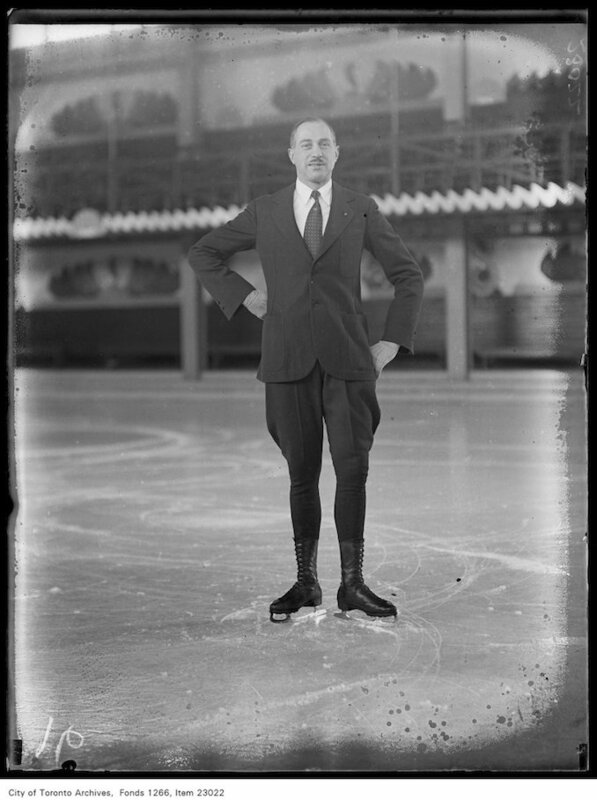 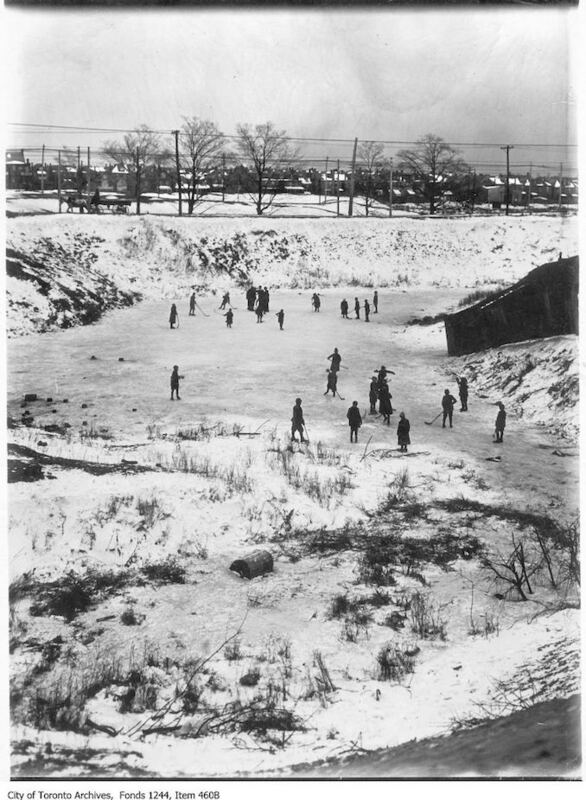 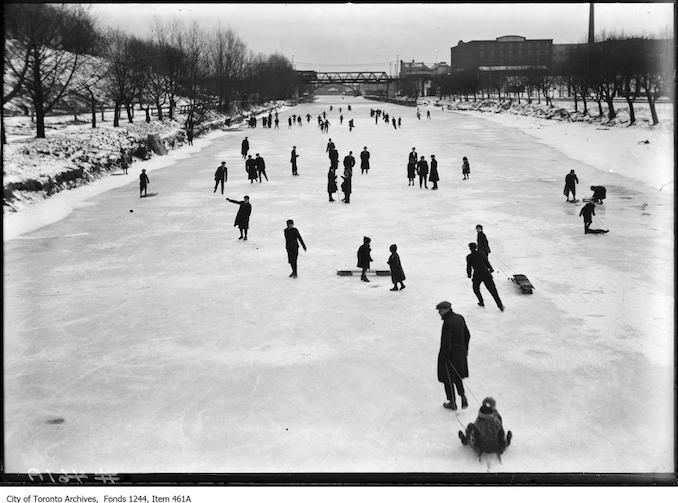 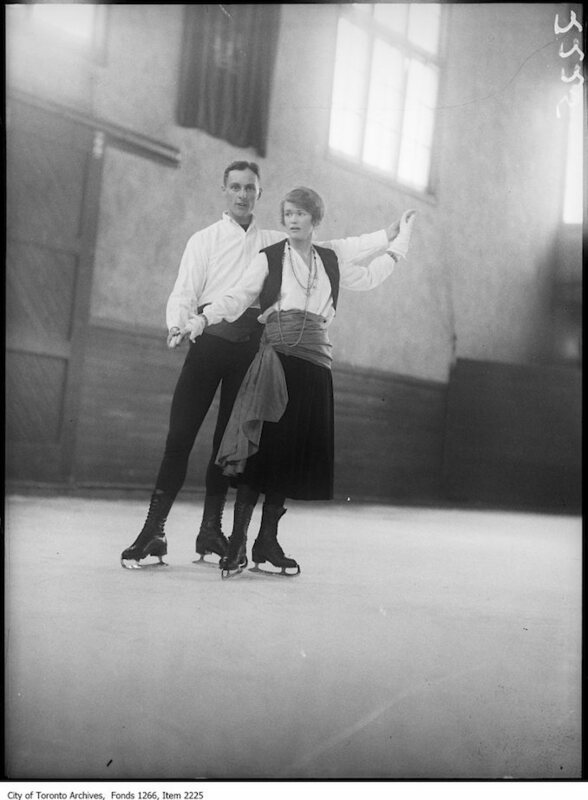 Ponds, rivers, lakes and man made rinks were all used for pleasure skating for over 100 years around our city. 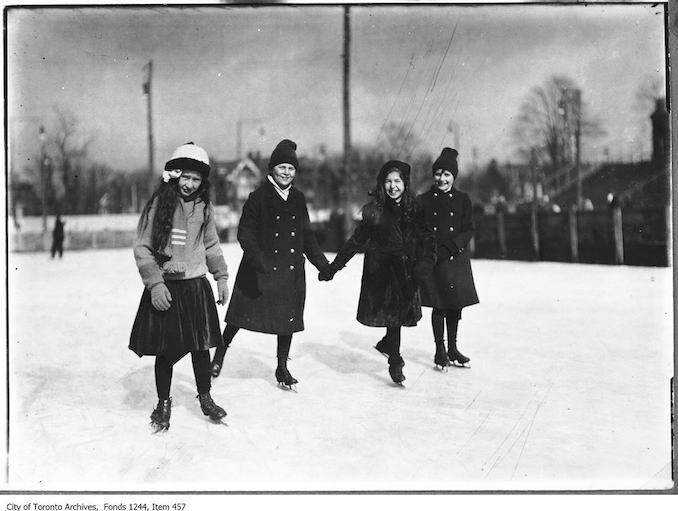 Ice skating is a Canadian past time and it is hard to imagine it not being a part of our daily life during the colder winter months. 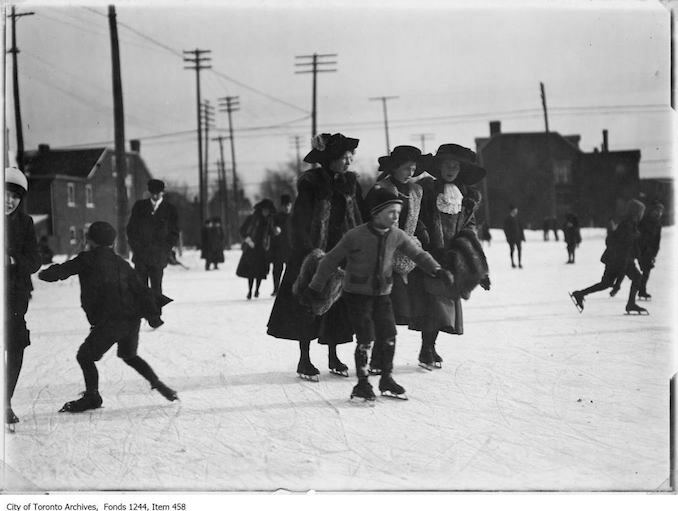 It is also interesting how long many of the rinks that we still use today have been used for. 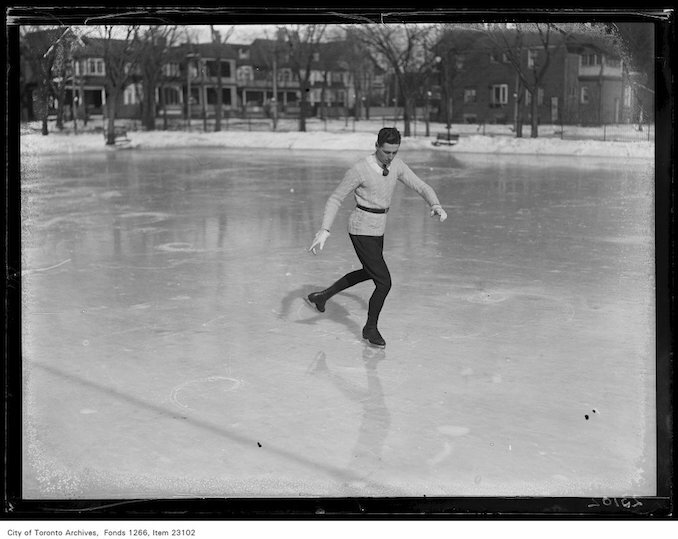 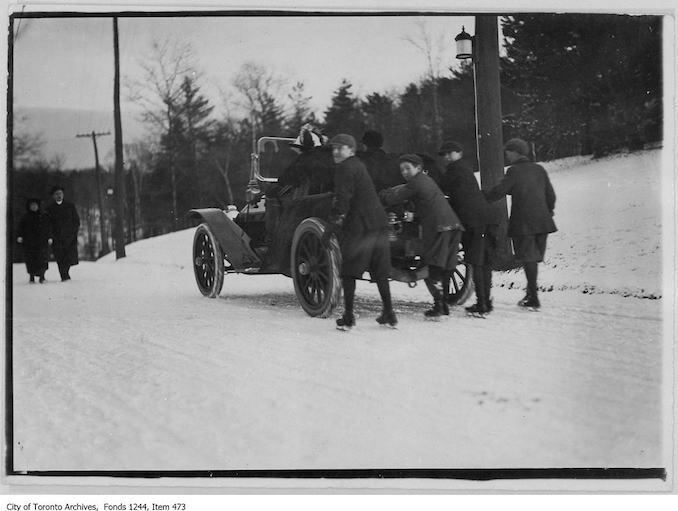 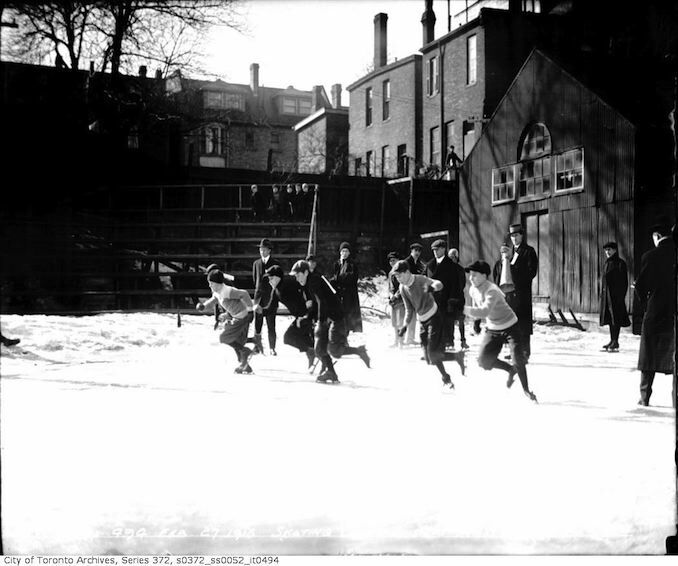 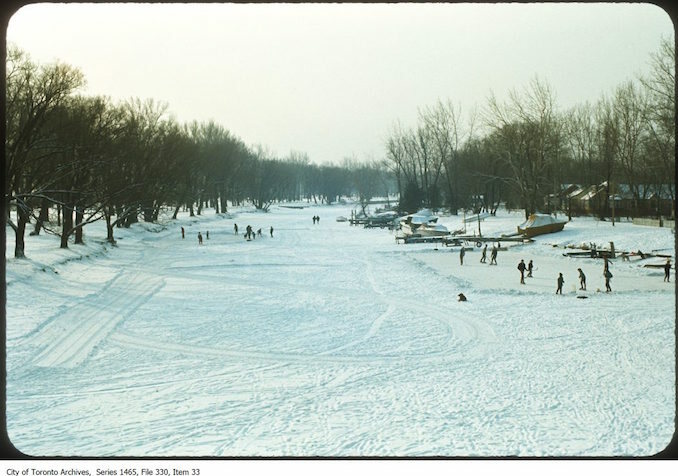 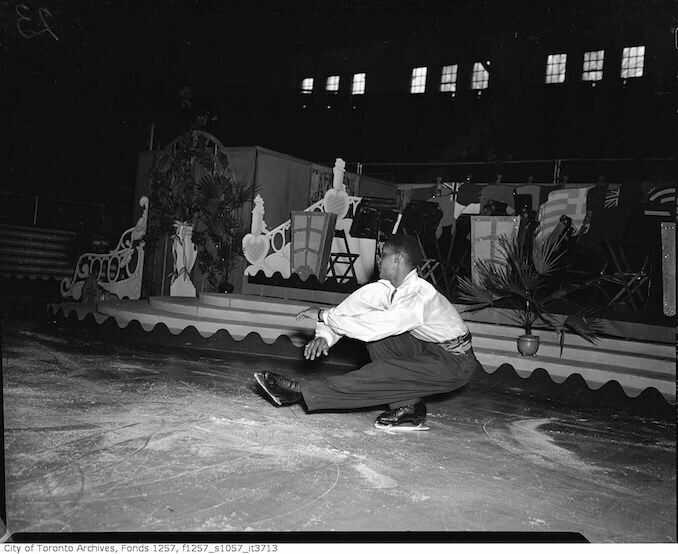 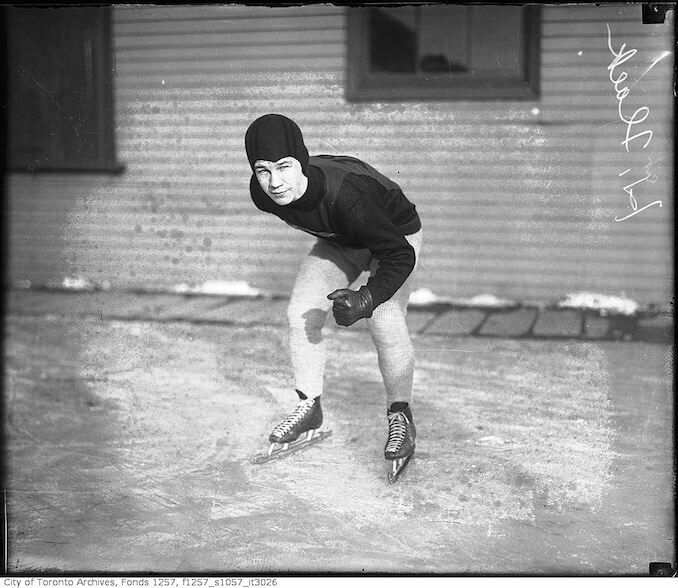 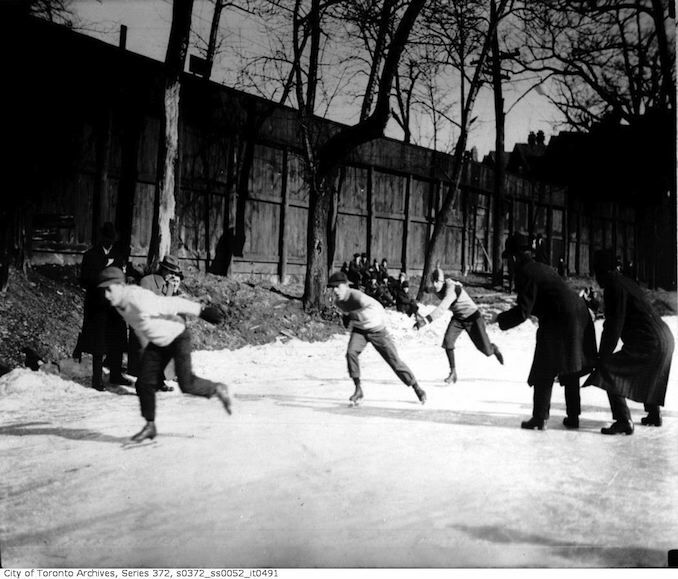 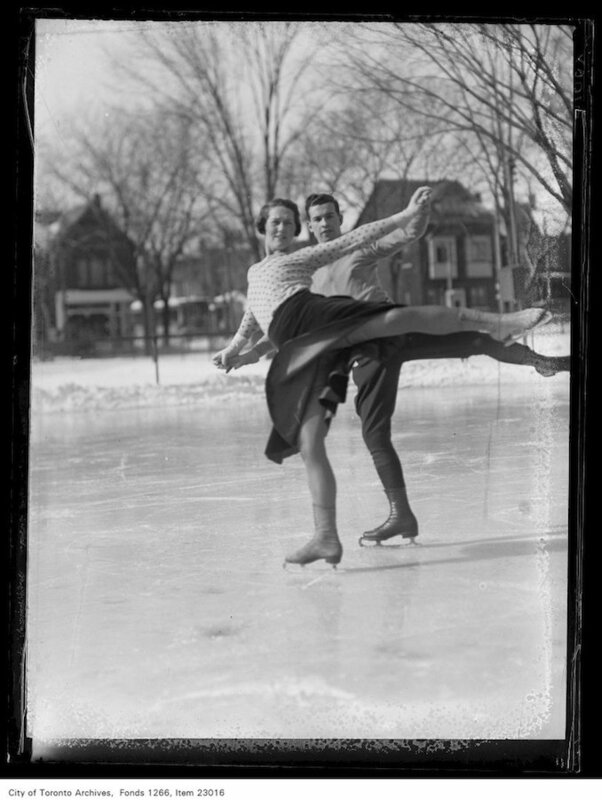 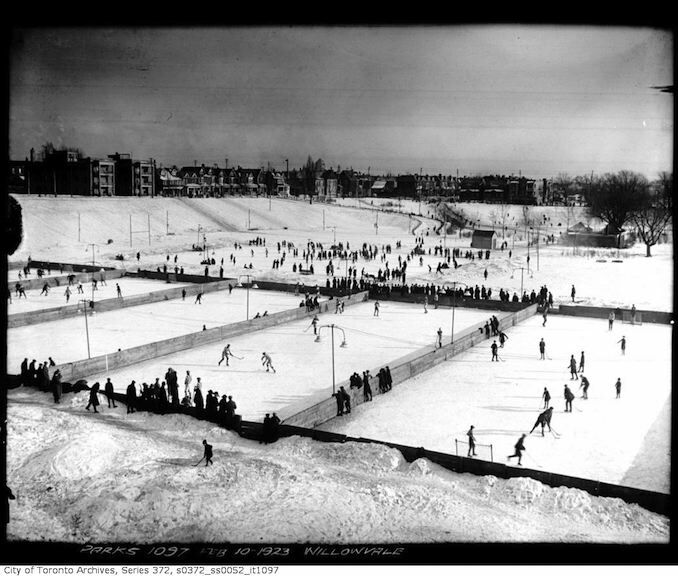 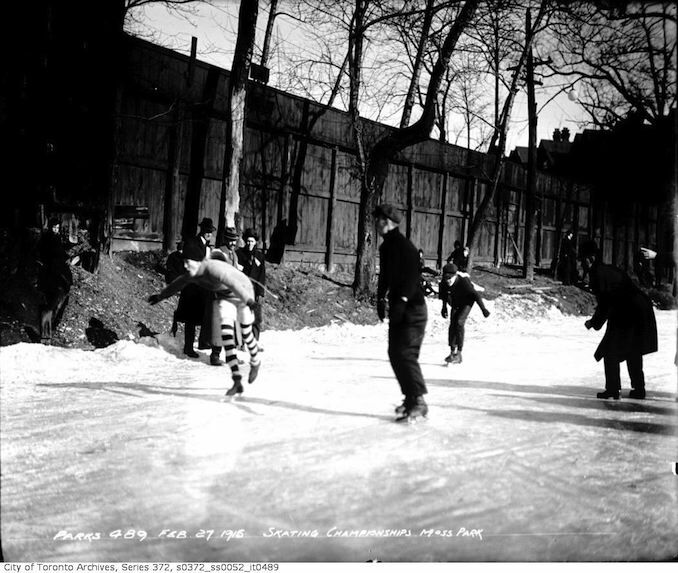 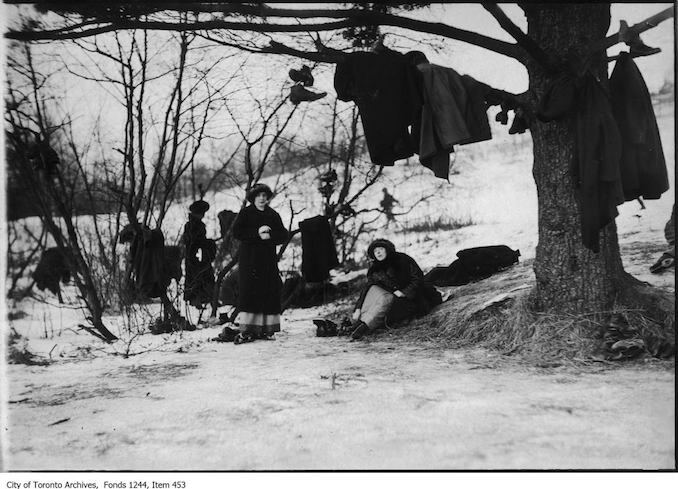 Riverdale, Withrow, Christie pits and more have long been popular winter destinations for many Torontonians to go ice skating. 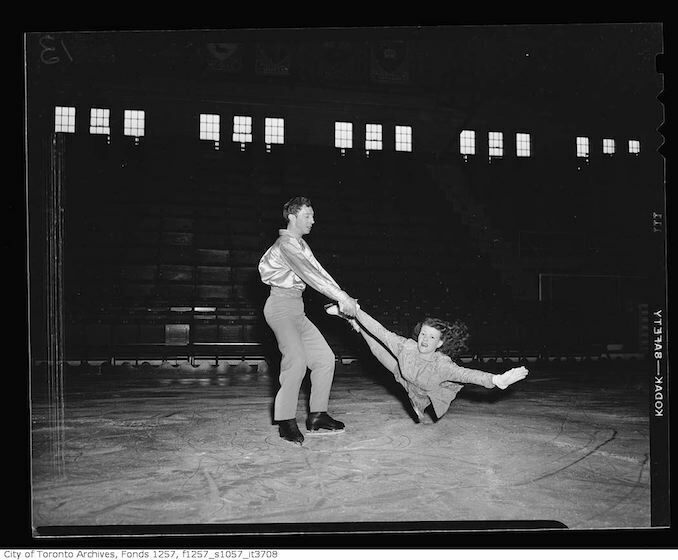 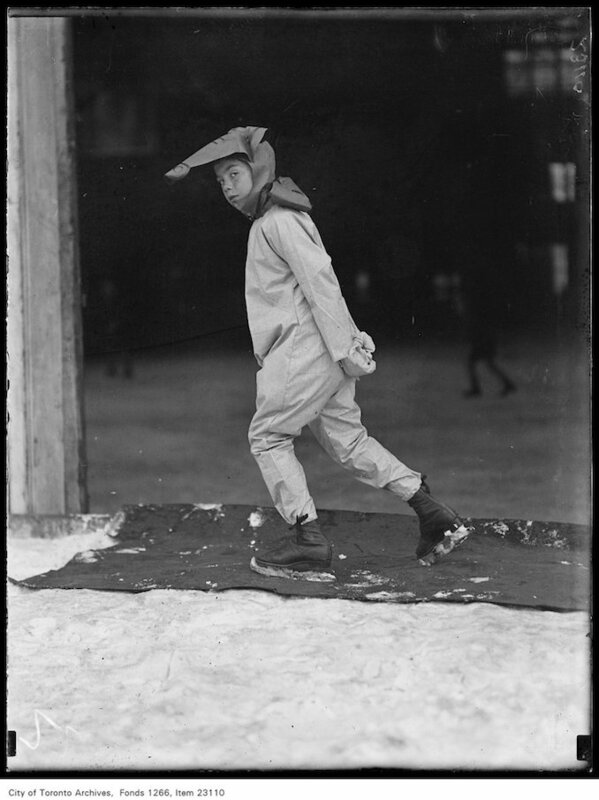 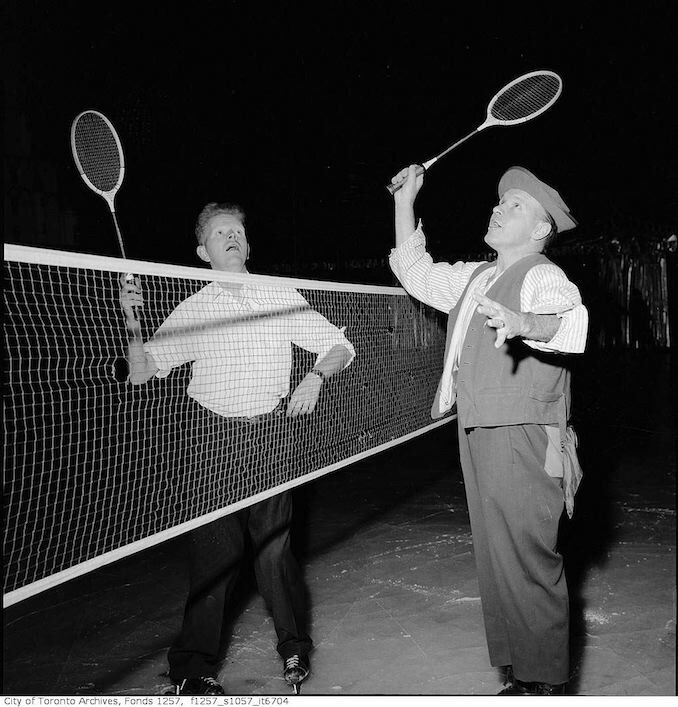 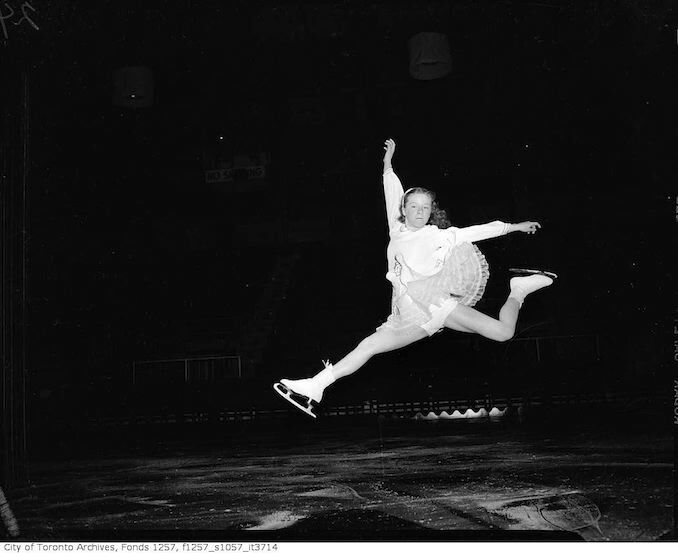 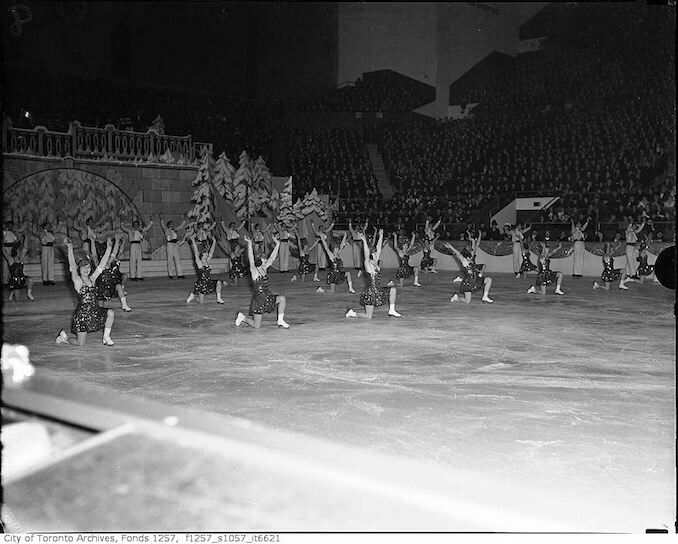 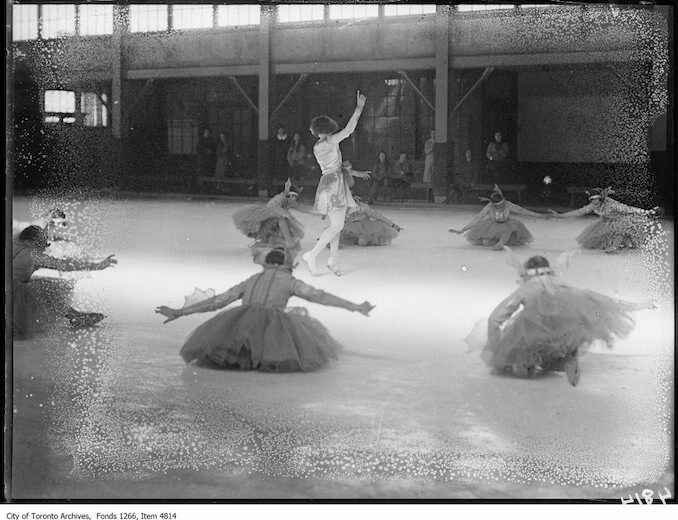 Badminton played on skates in Maple Leaf Gardens ice show – ca.195? 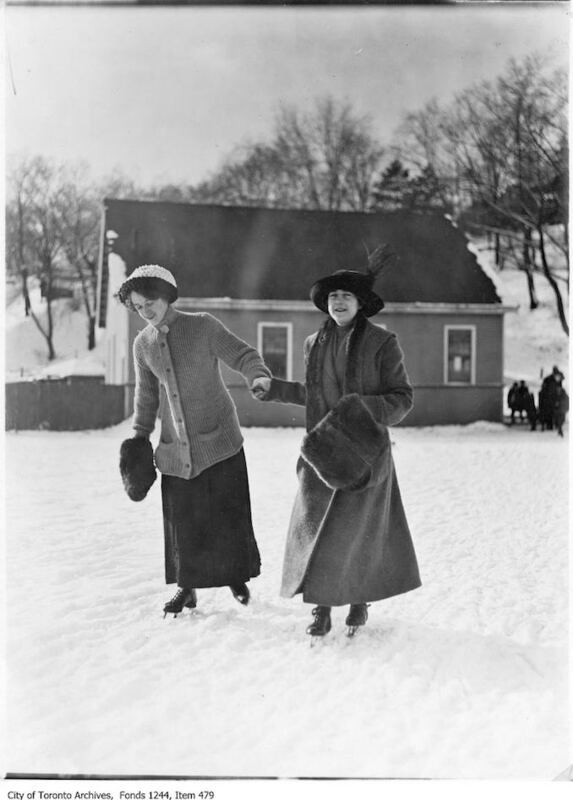 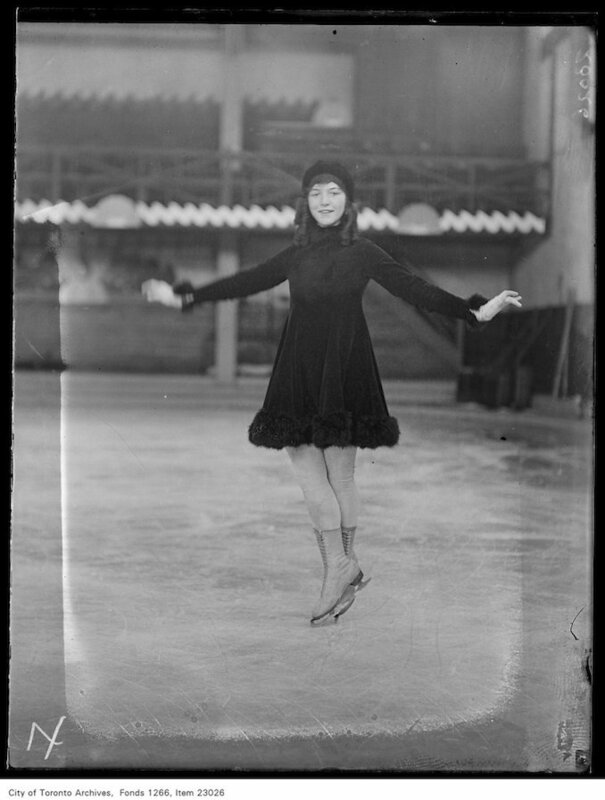 I love this collection of old skating photographs because it shows the ways skating was enjoyed in the past. 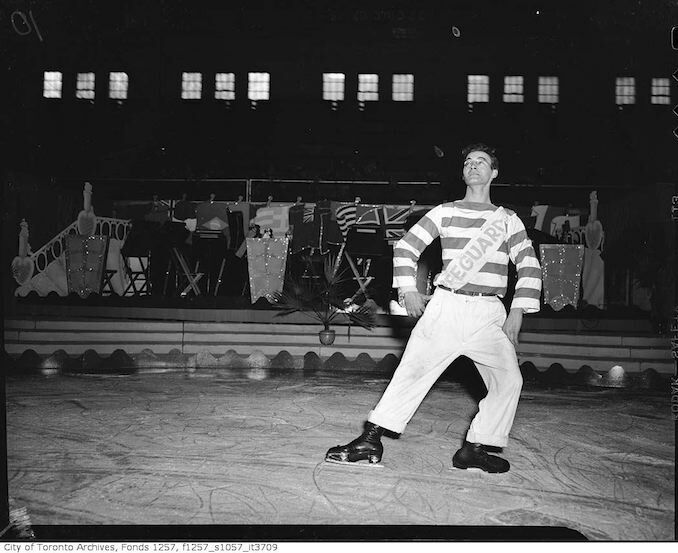 There were lots of performance shows and there were a lot of large public skates. 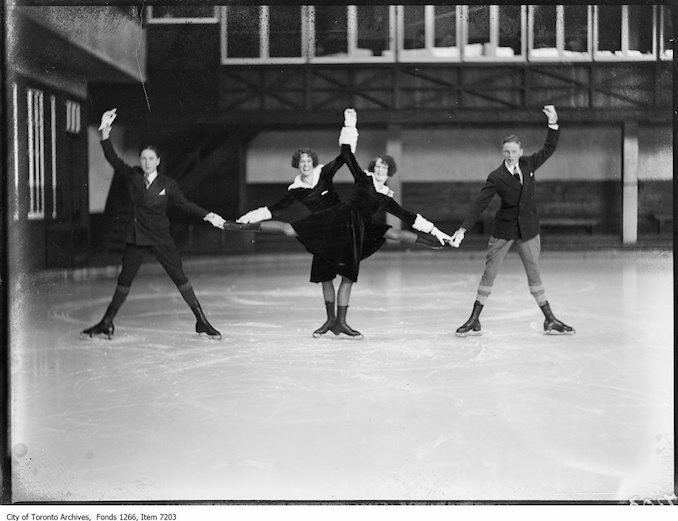 It is also cool to see the outfits, clothing and the ice skates themselves. 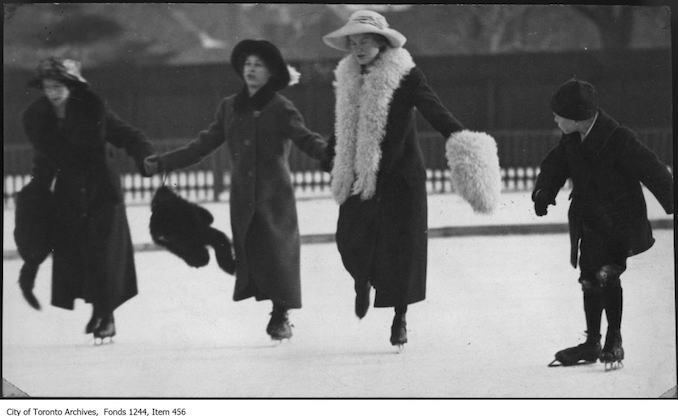 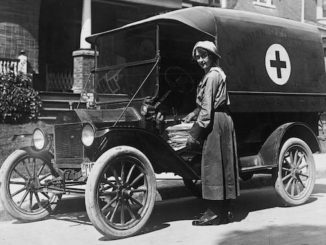 All have come a long way in the past 100 years. 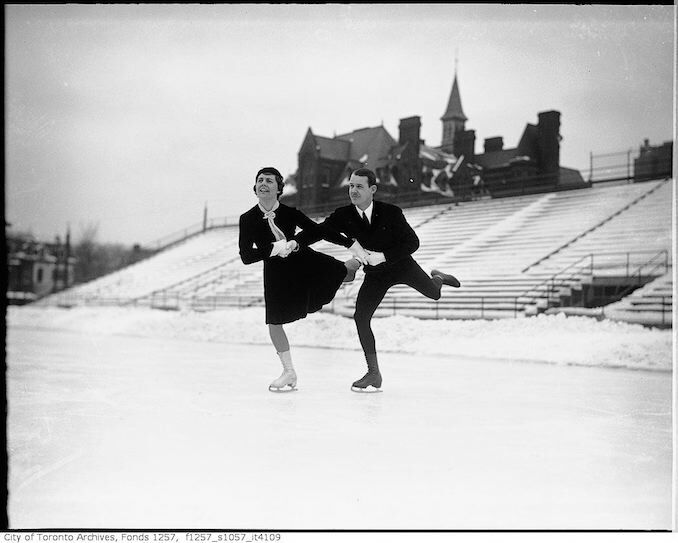 Enjoy the collection and feel free to share your favourite pics on social media with us. 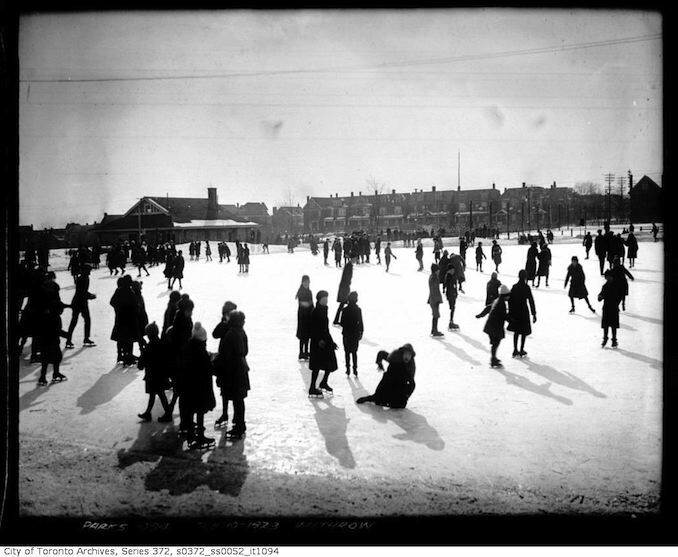 View more photos on the Toronto Archives. 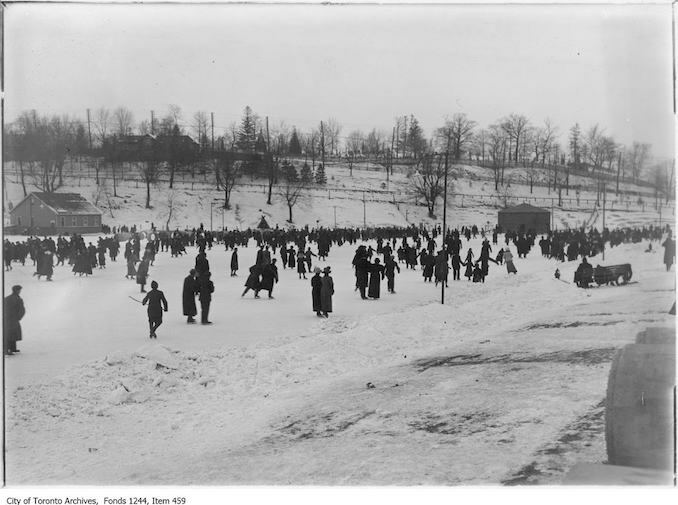 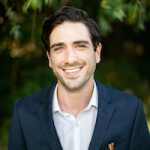 Item consists of one photograph taken at the park named either Ossington Avenue Park, Willowvale Park, or Christie Pits. 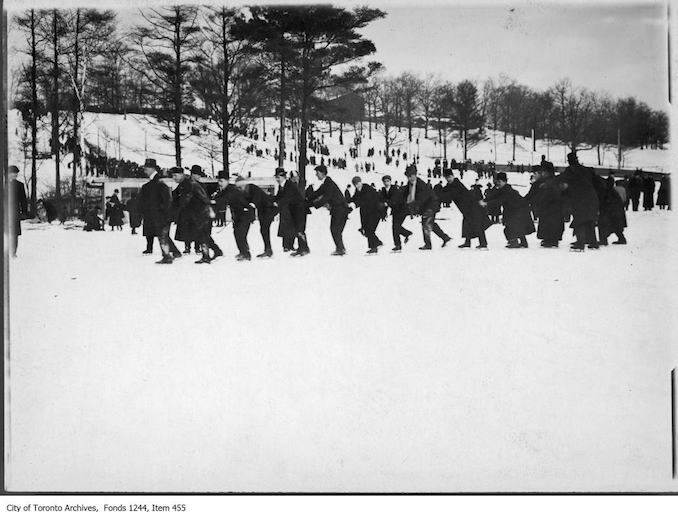 Item consists of one photograph taken at the park named either Ossington Avenue Park, Willowvale Park, or Christie Pits. 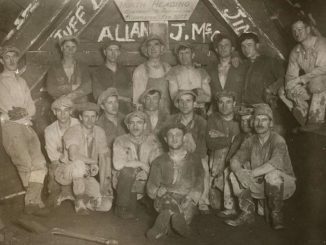 Note says the workman may be filling in edge of the pit.